2016 FALL NEWSLETTER - Fanning Harper Martinson Brandt & Kutchin, P.C. - Fanning Harper Martinson Brandt & Kutchin, P.C. Fanning Harper Martinson Brandt & Kutchin, P.C. is pleased to provide you with our Fall 2016 Newsletter and Legal Update. Below you will find information regarding successes and activities of our attorneys. Please click the hyperlinks for updates regarding Local Government, Constitutional and Civil Rights, Products Liability, School Law, Employment Law, Automobile and Trucking Litigation, Premises Liability, Land Use, Zoning, and Regulatory Taking, and Special Education. THOMAS P. BRANDT and FRANK VALENZUELA filed an amicus brief with the Texas Supreme Court in support of Respondent El Paso Independent School District in Kell v. El Paso Indep. Sch. Dist. In the amicus brief, FHMBK successfully argued that the Supreme Court should deny the Petition for Review because the El Paso Court of Appeals’ decision in favor of El Paso ISD correctly interpreted the Legislature’s and the District’s unambiguous intent to require teachers to initiate the more robust due process protections of Chapter 21 of the Education Code when their employment is proposed for termination, instead of the less robust due process procedures available through internal school district grievance hearings such as El Paso ISD’s DGBA (LOCAL) policy. Additionally, FHMBK argued that the Chapter 21 hearing process supports the Texas Whistleblower Act’s grievance initiation requirement by amplifying a school district’s opportunity to determine if it needs to correct any mistakes and, thereby, avoid costly litigation. THOMAS P. BRANDT, JOHN HUSTED, JENNIFER KELLEY, and STEPHEN D. HENNINGER recently obtained a victory before the Texas Supreme Court for a North Texas City’s retirement fund and board. The Plaintiff was a former employee of the City who brought suit following a denial of ongoing disability benefits for an on-the-job injury. Plaintiff alleged the denial of his benefits was improper and sued on theories of negligence, violation of fiduciary duty, breach of contract, unjust enrichment, and violation of the due process protections of the Texas Constitution. Plaintiff sought at least $553,767.83 in damages. FHMBK filed a plea to the jurisdiction on the basis of various immunities, which the trial court granted, dismissing all claims against the Fund and its Board. That judgment was upheld on Plaintiff’s appeal to the Second Court of Appeals, and Plaintiff then sought a petition for review in the Texas Supreme Court. After requesting briefing on the merits, The Texas Supreme Court entered an order denying the Plaintiff’s Petition for Review. THOMAS P. BRANDT, FRANK VALENZUELA, and JENNIFER KELLEY obtained a significant victory from the Fort Worth Court of Appeals on behalf of a school district in North Texas. FHMBK argued that the Court of Appeals should vacate and reverse the judgment of a state district court in favor of the Plaintiff totaling more than two million dollars. FHMBK argued that the trial court erred when it refused to permit the school district to include a jury question on the statutory affirmative defense available under the Texas Whistleblower Act. The Court of Appeals agreed with FHMBK, reversing the judgment and remanding the case to the district court for another trial. THOMAS P. BRANDT and JOHN F. ROEHM III obtained a victory from the Tyler Court of Appeals on behalf of a County located in Northeast Texas. Mr. Brandt orally argued the case on September 13, 2016. Mr. Brandt argued that the Court of Appeals should affirm the state district court’s order granting the County’s plea to the jurisdiction. Mr. Brandt argued that the Texas Whistleblower Act was not applicable to the County because it was not the employer of the aggrieved employee and thus, the County’s governmental immunity has not been waived. The Court of Appeals agreed and affirmed the victory in favor of our client. STEPHEN D. HENNINGER and JOHN F. ROEHM III obtained a victory in a federal lawsuit filed by a prisoner against a North Texas police officer. The prisoner alleged that while he was being booked in at the jail, the police officer used excessive force and denied him medical care. A motion for summary judgment was filed for the police officer. The court granted summary judgment and dismissed the claims against the police officer. STEPHEN D. HENNINGER obtained a victory in a lawsuit filed against a North Texas county. The Plaintiff claimed she was assaulted and sexually harassed by a jailer while Plaintiff was incarcerated at the county jail. She filed suit in State court against the County and the former jailer. A motion to dismiss the former employee was granted, after which a plea to the jurisdiction was filed on behalf of the county, asserting that all of the Plaintiff’s claims were barred by governmental immunity. The court granted the plea and dismissed all claims against the county. THOMAS P. BRANDT, JOHN F. ROEHM III and JOHN HUSTED obtained a victory in a lawsuit against a City and its police officers in an excessive force and false arrest case. The City’s SWAT team was serving a search warrant at Plaintiff’s residence as a result of the Plaintiff’s son’s drug activity. Plaintiff confronted the officers with a gun and was shot in the hand. As a result of the incident, Plaintiff was charged with aggravated assault. Plaintiff filed suit in state court alleging state law tort claims against the City and the officers. The City filed a motion to dismiss the officers under 101.106 of the Texas Tort Claims Act and the motion was granted. Several months later, Plaintiff filed an amended complaint asserting state law and federal claims against the City and the dismissed officers. The case was removed to federal court. Plaintiff filed a motion to remand which was denied. The case was stayed while Plaintiff’s criminal proceedings were resolved. Once Plaintiff’s criminal proceedings and appeals were completed, the City and officers filed motions to dismiss. The court granted the officers’ motion to dismiss on the grounds of limitations. The court granted the City’s motion to dismiss on the grounds of failure to state a claim for relief. STEPHEN D. HENNINGER and NICHOLE M. PLAGENS obtained a victory in a federal lawsuit filed by a former chief of police of a North Texas city. After the Plaintiff was fired for misconduct, he filed suit alleging age discrimination, and asserting a claim for a violation of his privacy rights when city staff accessed his workplace computer. A motion for summary judgment was filed which the court granted, dismissing all claims against the city. RON IHLE obtained a motion for summary judgment regarding a premises liability case. The Plaintiff was a tenant in our client’s apartment complex and claimed that she fell due to lack of maintenance of a sidewalk. She suffered a broken knee which was surgically repaired. We were able to show the court that our client had no notice of the alleged dangerous condition. The plaintiff had previously demanded $1.85 million to settle the case. THOMAS P. BRANDT, FRANCISCO J. VALENZUELA, and LAURA O’LEARY obtained a victory in a lawsuit filed against a non-profit corporation which provides motorcycle racing classes and events. After the Plaintiff’s membership in the organization was terminated, he filed suit against the corporation, its employees, and some of its current and former directors. The corporation sought dismissal of five of the eight categories of claims the Plaintiff asserted in his lawsuit. The court granted the corporation’s motion in its entirety. THOMAS P. BRANDT and JOHN HUSTED successfully defended a North Texas city in a lawsuit alleging that the city’s officers used excessive force. The Plaintiff alleged, in part, that the city was liable for Plaintiff’s injuries when he, a bounty hunter, was shot by one of the city’s officers at the scene of the service of an arrest warrant. FHMBK filed a motion for summary judgment on behalf of the city arguing that the Plaintiff could not show that the officer shot the Plaintiff pursuant to a policy, custom, or practice of the city. The magistrate judge agreed, and recommended that the claims against the city be dismissed, and the district court granted summary judgment on behalf of the city. The Plaintiff recently filed a notice of appeal to the Fifth Circuit Court of Appeals. On November 1, 2016, THOMAS P. BRANDT presented oral argument before the Fifth Circuit Court of Appeals, in defense of a North Texas school district against a former student’s Title IX claims of student-on-student gender-based harassment. 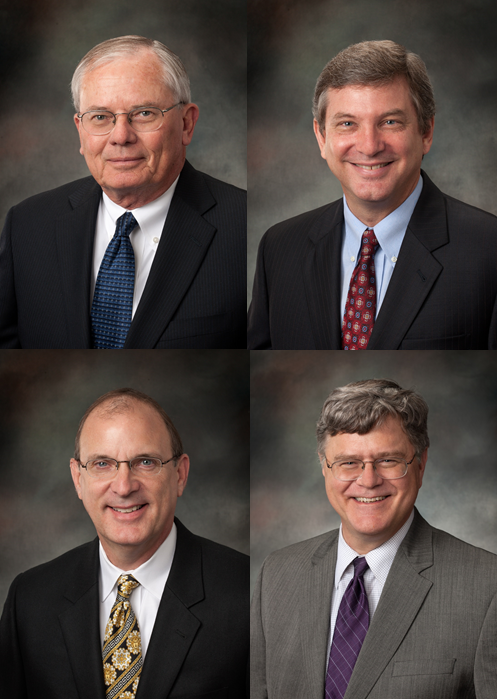 FHMBK is pleased to announce that firm attorneys Don Martinson, Thomas Brandt, Joshua Kutchin, and George Lankford have once again earned selection to the 2016 Texas Super Lawyers listing. 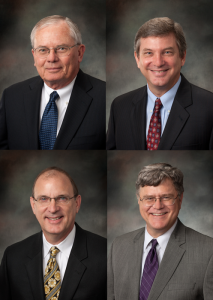 This is the eighth consecutive Super Lawyers selection for both Mr. Martinson and Mr. Kutchin and the seventh selection for Mr. Brandt and Mr. Lankford. FHMBK is also pleased to announce that this year marks the 15th consecutive year that Thomas P. Brandt has achieved the rating of AV Preeminent by Martindale Hubbell. The AV Preeminent rating is the highest possible peer review rating in legal ability and ethical standards. The firm is also pleased to announce that Kathryn Vaughan has joined the firm as “Of Counsel” and will be assisting the firm in providing insurance coverage advice and appellate services to the firm’s insurance company clients. 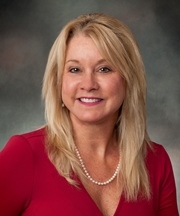 Kathryn is a 1988 graduate of the University of Oklahoma Law School and comes to the firm after serving in a similar role for the Dallas office of Baker & McKenzie and the firm of Meckler, Bulger & Tilson. THOMAS P. BRANDT, STEPHEN D. HENNINGER, and NICHOLE M. PLAGENS presented a Live Webcast through the Texas Bar CLE on June 1, 2016. The Webcast, Police Excessive Force Litigation and Issues Post Ferguson, focused on, among other things, the challenges law enforcement officers and their defense counsel face in trying to obtain a fair trial. FRANK VALENZUELA spoke on the topic of Qualified Immunity at this year’s State Bar of Texas’ Government Law Boot Camp being held in Austin, Texas on July 27, 2016. 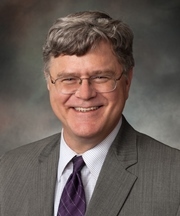 THOMAS P. BRANDT was a presenter at the State Bar of Texas’ Advanced Government Law course on July 28, 2016 in Austin. He spoke on the topic of Religious Liberty. NICHOLE M. PLAGENS spoke at the SMU Dedman School of Law’s Mock Trial Academy on August 29, 2016. Ms. Plagens provided a presentation and coaching on the Art of Drafting and Presenting a Winning Closing Argument. The Mock Trial Academy was organized by the Board of Advocates (“BOA”), a student run organization, attended by current law students who wished to receive specialized training and coaching in preparation for the School’s various on-campus and off-campus Mock Trial Competitions, and led by members of the Dallas Bar, SMU Dedman School of Law Alumni, and/or former and current Mock Trial Coaches. JOHN D. HUSTED and FRANK VALENZUELA presented an Introduction to the Texas Whistleblower Act at the Texas Charter Schools Association 2016 Annual Conference held in Austin, Texas, on October 3-5, 2016. NICHOLE M. PLAGENS’ article topic submission was accepted by the Dallas Bar Association’s monthly publication, Headnotes. The article is entitled EEOC and LGBT: Who is Protected and What is Required of the Employer and Employee and will be published in the January 2017 Labor & Employment Issue of Headnotes. THOMAS P. BRANDT presented a speech on religious liberty in Kansas City, Missouri on October 26, 2016. The speech, entitled “They know not what they do: Current issues in religious liberty,” was presented as part of the 2016 Inaugural General Assembly of the recently form Catholic Bar Association. LAURA O’LEARY is a member of the planning committee for the University of Texas’s 32nd Annual School Law Conference, which will take place from February 23-24, 2017, at the AT&T Conference Center in Austin, TX. This year’s conference promises to be another great program with timely topics and highly knowledgeable presenters. On September 17, 2016, NICHOLE M. PLAGENS participated in judging the SMU Dedman School of Law’s Annual On-Campus Negotiations Competition. The Negotiations Competitions is just one of many on-campus competitions that the BOA annually sponsors and organizes in an effort to help students develop legal skills. This competition emphasizes teamwork and the ability to resolve disputes in a negotiation setting. On October 28, 2016, THOMAS P. BRANDT was elected to serve as a member of the board of directors of the recently formed Catholic Bar Association. The election took place in Kansas City, Missouri at the 2016 Inaugural General Assembly Meeting of the Catholic Bar Association. On November 5, 2016, NICHOLE M. PLAGENS participated in judging the Dallas Regional Tournament for the ABA Section of Labor & Employment 13th Annual Law Student Trial Advocacy Competition. The American Bar Association’s Section of Labor and Employment Law established the LEL Trial Advocacy Competition to introduce law students to the challenges and rewards of employment and labor litigation. Law students who participate in the Competition have the opportunity to develop their trial advocacy technique in a mock courtroom experience. The Competition offers participating students a forum in which they may develop the skills they will be using as practitioners, and a chance to meet and network with fellow law students and labor and employment law practitioners. One team advances from each of the eight regions and will compete at the National Final Competition on January 28-29, 2017, in New Orleans. NICHOLE M. PLAGENS was once again asked by the SMU Dedman School of Law Board of Advocates to coach two mock trial teams that will competed in the American Association for Justice (“AAJ”) National Student Trial Advocacy Competition. One of the purposes of the AAJ is to inspire excellence in trial advocacy through training and education for both law students and practicing attorneys. One way that the AAJ accomplishes this goal is by sponsoring a national student mock trial competition. Sixteen teams are assigned to each of the fourteen regions, with only the top team from each region advancing to the National Finals. This year’s Regional Competition is scheduled for March 9 -12, 2017, and the National Finals are scheduled for March 30, 2017 – April 2, 2017, in New Orleans.